These Ladies are perfect for a whimsical Lady's Day Luncheon, Garden Party or to make meals happy at home for kids (of any age)! 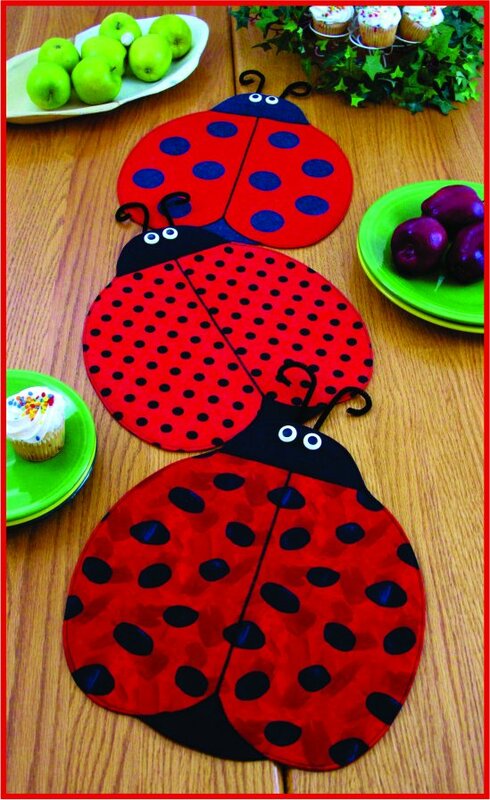 This (oh sew cute) sewing pattern includes directions to make Lady Bug place mats, a table runner or table topper, and is so quick and easy you can sew up a bunch in no time for a party! Puts a smile on everyoneâ€™s face! Finished size 12.5" x 13"; antennas are optional and removable.